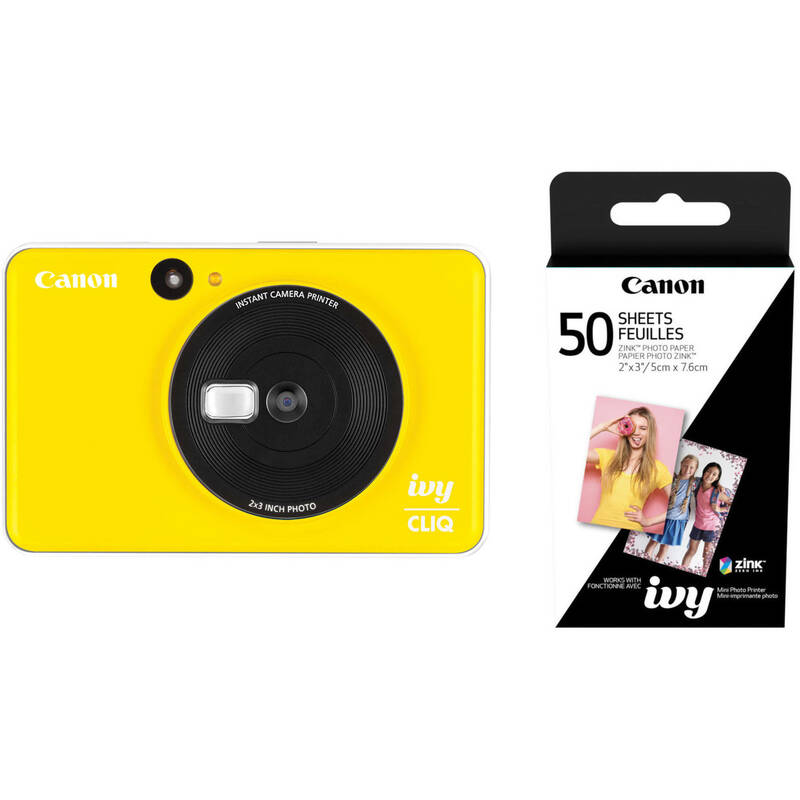 Comprising everything you need to start shooting, the bumblebee yellow Canon IVY CLIQ Instant Camera Printer with ZINK Paper Kit from B&H bundles the pocketable instant camera printer with 50 sheets of 2 x 3" ZINK photo paper. A pocketable camera and a sleek, portable printer in one, the bumblebee yellow Canon IVY CLIQ combines the fun of producing prints on the fly with the convenience of digital image capture. This compact instant camera printer utilizes ZINK technology to deliver 2 x 3" prints along with a 5MP image sensor and wide-angle lens for versatile shooting capabilities. Autofocus and auto-exposure lend true point-and-shoot functionality and the camera's design incorporates a flash for low-light situations. To benefit selfie shooting, a selfie mirror is placed on the lens for aligning your self-portraits. The camera also incorporates an optical viewfinder, a microSD memory card slot, and has a built-in lithium-polymer battery. Box Dimensions (LxWxH) 5.5 x 4.3 x 1.8"